I have dove with Sea Dragon Dive Centre out of Khao Lak, Thailand about four times now. The first trip was in 2002. Sea Dragon runs several different trips to the Surin and Similan Islands on three different boats - the trips range from 3days/2nights to 4days/4nights. I have always done the 4 day trip aboard the MV Andaman. You can see several photos of one trip in my photo section. 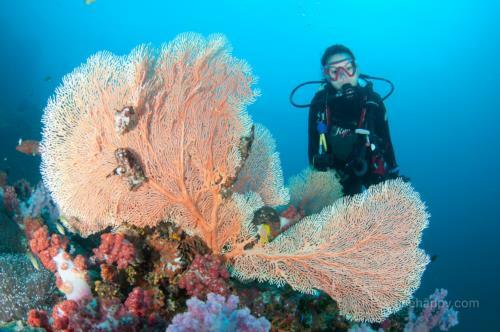 The main dive season is late October through April, but they run other schedules during the remainder of the year. 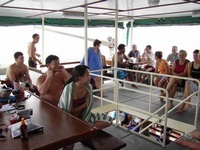 I have found all the staff to be very good, the Thai crews on the boat is always great. Contact me if you would like to know more about Sea Dragon or Thailand.